There were 673 press releases posted in the last 24 hours and 154,030 in the last 365 days. XeroE the tech start up platform for emission free delivery services appoints Iain Sanderson, marketing expert and electric vehicle pioneer to advisory board. LONDON, LONDON, UNITED KINGDOM, June 29, 2018 /EINPresswire.com/ -- Xeroe continues to grow its advisory board with the addition of Iain Sanderson who will serve as a Marketing Advisor and also bring his entrepreneurial talents to the fore for the Xeroe team. During the course of his career, Iain has founded and grown several marketing agencies, notably Dynamo Marketing Group. Since successfully leading the group to a sale, he has worked in a range of advisory roles with both automotive and marketing organisations. Moreover, Mr Sanderson offers real experience in the electric vehicle sector. In 2007, he founded ‘The Lightning Car Company,’ which produced an all-electric supercar named the Lightning GT. Mr Sanderson demonstrated that it’s possible to build a supercar that matches the look and feel of traditional petrol and diesel-fuelled supercars whilst offering zero emissions. Timing issues delayed the project initially, but it’s now under offer from a major investment group and is an excellent example of his dedication to the zero-emission ideals that Xeroe espouses. He now brings this combination of marketing expertise and passion for zero-emission transport to the Xeroe Advisory Board. Iain said the following in regards to his appointment: “My upcoming work with Xeroe allows me to pursue a deep-seated passion for zero-emissions vehicles that I have held for over a decade. I hope that together we can help create a zero-emissions London and expand our reach to the wider UK and major European cities. Xeroe CEO Steve Evans notes the importance of iain’s marketing knowledge. “Xeroe aims to become a brand that individuals and organisations can trust. We have an important message and vision that we have great passion for. 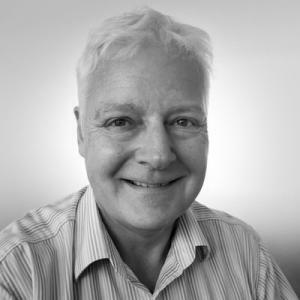 With the addition of Iain to our Advisory Board, we now have the help of a professional who can both help us get our message across and who also brings a great deal of passion for our vision to the table. I and the Xeroe team look forward to working with him on our future marketing efforts”. Xeroe looks forward to leveraging the experience that Mr Sanderson has to offer to the benefit of the organisation and is delighted to appoint such a passionate figure to a key role in the company. About Xeroe: Xeroe offers a mobile-first platform that helps people to find and book courier delivery services. The company takes an environment-first approach to its work, which is why it exclusively offers electric van delivery services through the platform. Available to everyone from individuals who need removal services through to large companies that require a dedicated delivery service, Xeroe aims to create a cleaner London. The platform offers access to both pre-booked and on-demand services.